Mary Ellen McLean is a 1972 graduate from Whitman-Hanson Regional High. She received her Dental Assisting education at Quincy Vocational-Technical and Business Communications education at Quincy College. She has lived in Plymouth and worked in the dental profession for over 40 years, with her husband Don McLean and their family. Mary Ellen is very active in the Plymouth Community. She has been a member at the Eel River Beach Club since 1987. She was previously a member of the Plymouth Country Club, President of the Plymouth North Athletic Booster Club, and coach of the Plymouth North Girls Tennis Team. She enjoys gardening, traveling, playing golf & tennis, in addition to spending time with her 4 grandchildren. Suzanne graduated from Marshfield High School in 1983 and Boston University’s Sargent College in 1987. She has been involved in the dental/medical field since 1984. Suzanne has been an integral part of our office development since our practice opened. Her work experience and continuing education has always centered around patient care, especially in the area of chronic pain and disability. Her interest in the rehabilitation & pain management field began as a college gymnast and continued with her work in several hospital and medical settings. She has attended the Yankee Dental Congress yearly since 1989, where she continued her education in the areas of ergonomics, treatment of back & neck pain, alternative healing methods, nutritional healing, and treatment of TMJ dysfunction. In addition to helping in the daily office functions and volunteering at the Magical Moon Foundation in Marshfield, she runs a private training studio on the third floor of our office building. Jaime Pylant was born in Plymouth and is a 1999 Carver High School graduate. She studied graphic Design in Palm Beach Florida, prior to returning to Plymouth's Jordan Hospital, where she worked as a certified Phlebotomist for six years. Jaime continued her education obtaining her degree in Dental Hygiene from Cape Cod Community College. Jaime has been employed as a Dental Hygienist since 2008. She is passionate about her career and is a natural dental health educator! In addition to her required continuing education she has her license to administer local anesthesia. Jaime and her husband Jake enjoy being fully involved in their community. They stay active with boating, jogging, bicycling and most especially going to the local beaches with friends and family. Kathy was born and raised in Plymouth. She is a 1974 graduate of Plymouth Carver High School. Kathy earned a degree at Northeastern University along with her degree from Forsyth School for Dental Hygiene. Kathy has been working as a hygienist since 1976. Kathy has been with our Court Street "team" for 37 years! Kathy attends continuing education classes annually, keeping her current on all the latest procedures in dental care. Kathy and her husband Mike love spending time at the local beaches, traveling, enjoying their friends, family and their dogs!! They now have two grandsons that they spends lots of time with . Katie was born and raised in Plymouth, Massachusetts. She is a 2000 graduate of Plymouth North High School. Katie earned her degree in Dental Hygiene at Cape Cod Community College. Katie became licensed as a hygienist in 2005. She recently celebrated her 10-year anniversary with Boynton Dentistry. Katie and her family live in Duxbury. They enjoy spending time with their children, family and friends. Joani was born and raised in Plymouth, graduating in 1976 from Plymouth Carver High School. She completed her Dental Hygiene degree in 1978 through Forsyth Dental School. Joani has been employed at our Court Street office since the early 90's. She regularly attends Yankee Dental Continuing Education courses and the Shamrock study group. She enjoys spending time at Plymouth Fitness - as she is committed to her health and our patients! Joani and her husband Evo raised their daughter Gina in Plymouth. She has been active member of the community since her younger years where she would help out at her her family's local business, Balboni's Drug Store in North Plymouth. We are honored to have Joani with us as she shares her caring nature & commitment to patient care. Shauna grew up in Plymouth, graduating from Plymouth South High in 1996. She attended Forsyth School of Dental Hygiene, as well as an associates degree from Northeastern University. In addition to practicing general dental hygiene, she has worked in a Periodontal Office performing more advanced treatment for periodontal health and education. She is passionate about her career and devoted to the best quality of care for her patients. Shauna currently lives in Carver, with her husband Ryan & their two young children. They own Surf Marine in Plymouth. She loves jogging, camping, spending quality time with friends and family and anything that involves the ocean. Merissa was born in Norfolk, Virginia and spent her childhood in Lynn before moving to Wareham. She graduated in 2011 from Wareham High School and continued her education at Cape Cod Community College, studying Health Sciences. While working at Benchmark Dental Labs she found her passion for the dental field. 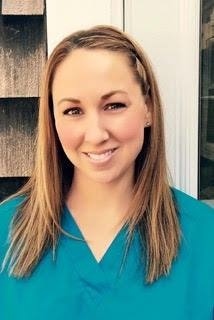 After completing the Dental Assistant program at Cape Cod Community College in 2014, she began her assisting career at Cape Cod Endodontics. Merissa loves continuing her education by attending the Yankee Dental Congress annually. She enjoys spending time with her son Jaxson, and her family, taking trips to New Hampshire and enjoying nature. You will never see Merissa without a smile. Stacia is a 2009 graduate of Duxbury High School and a 2013 graduate of University of New Hampshire. She has worked for several years at the Friends of Jaclyn Foundation. This foundation's mission is to improve the quality of life for children battling childhood cancers by pairing them with local high school and college sports teams. Stacia has grown up in and around her dad's office. She is always willing to lend a helping hand wherever she is needed. She has recently been helping us to improve our social media platforms such as our Facebook, Linkedin, Google+ and our Website. In her free time she enjoys skiing , pilates, yoga, paddle boarding, and the GYROTONIC® METHOD. She volunteers her time working with the Magical Moon Foundation, Pediatric Brain Tumor Foundation and Friends of Jaclyn. Stacia graduated in May 2018 with her Masters from Lesley University in clinical mental health counseling with a specialization in expressive arts therapy. Miranda is a 2014 graduate of Duxbury High School and 2018 graduate of Providence College. Miranda has grown up spending ample time in the office learning what it takes to run a dental practice as she is on a pre-dental track in her studies and hopes to follow her father’s footsteps in becoming a dentist. With her sister Stacia, she has recently been helping us to improve our social media platforms such as our Facebook, Linkedin, Google+ and our Website. In college she was involved in clubs on campus such as Active Minds, a group of students that strive to change the perception about mental health on college campuses. She enjoys many different bodywork classes such as barre, pilates, and the GYROTONIC ®METHOD. Miranda volunteers with the The Magical Moon Foundation, Friends of Jaclyn Foundation, and The Pediatric Brain Tumor Foundation. Miranda is currently in her first year studying at Tufts University School of Dental Medicine. Barbara grew up in Marshfield, graduating from Marshfield High School in 1973. She completed her Dental Assistant program in 1974 and spent 4 years as an Assistant in New Hampshire. She has been licensed and working as a Dental Assistant our 70 Court Street office since 1983. Barbara has been assisting Dr. Boynton since he took over the office team in 2004. Barbara has continued her professional education at the Yankee Dental Conferences, on-line training and through our on-site Periodontists. Her years of service in the dental field allow her a calming presence for our patients. Barbara enjoys golf, traveling and going to the beach!